We have recently used SETA to deliver a NEBOSH Health & Safety at Work Award, this was arranged and registered with NEBOSH to run on site for 2 groups of employees, the two courses and exams ran smoothly and to schedule, meeting the requirements of the Company.  Having used SETA previously for Health & Safety Training and in addition to Apprentice and Engineering Skills training I would not hesitate to use them in the future or to recommend them to other businesses. AMEC have been involved with SETA for many years and their service, from sourcing suitable candidates, conducting assessment test and their rigorous but important first year of workshop practice, through to assessing NVQ portfolios at our sites, is all part of the package that SETA delivers to clients such as us. 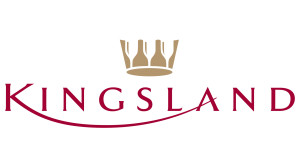 Having a training provider that understands the needs of their client, is part of the partnership offering they provide and is an invaluable service. Particular mention must go to the very experienced supervisors within the workshop areas, who give a mature and professional approach to the emerging engineers. I feel SETA’s development of Allied Bakeries apprentices has been second to none and I have only the highest appreciation of the professional and thorough manner in which SETA have helped Allied Bakeries develop its staff. In summary, SETA continue to be a real asset to Allied Bakeries. We have recently had all our electrical craftspeople complete their BS767 with SETA, I also attended. 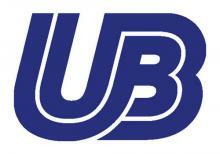 Their administration was very friendly and helpful, getting us to a level of compliance. The course tutor was very knowledgeable, thorough and professional; he made what can be a very dry and sometimes tedious subject interesting and compelling. We have a differing level of academic ability within the department, the staff at SETA was able to highlight areas where some needed more help than others and acted upon it tailoring sections to that requirement. SETA has shown flexibility by delivering some of our courses with just a day’s notice. As Training Coordinator I find SETA helpful and informative regarding the products available. Based on our very positive experience of working with SETA Training we would have no hesitation in recommending them. 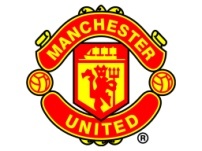 We pride ourselves at Manchester United in being at the forefront of the football community, not just in sport but as a business, we have over many years now worked with SETA to improve our Health and Safety standards by training and best practice. SETA have provided us with an excellent cost effective local training centre, consistently raising the standard of Health and Safety awareness to our staff, the results have been instrumental in making this club safer for visitors and staff alike, we look forward to working with them in the future. I thoroughly enjoyed the course and I can only praise the professional manner in which the course was run by Russell Prince (SETA) who was quite simply superb. Russell made it quite clear at the commencement of the course that students were required to study in their own time if they wished to pass. I did exactly what you recommended and I achieved the result I wanted. The course content was interesting and was put across in an informative way whilst not being boring. I feel that I have been well informed and that I will put things into practice. I was made to feel part of the group and at ease and looked forward to the course each week. The trainer made you feel at ease. Thank you”. On behalf of all the candidates and myself, can I thank you for a professionally run, informative and enjoyable course. I am sure that all of the candidates have benefited greatly from the experience of attending your NEBOSH International General Certificate course in Dubai. The best tutor I’ve ever met! I really enjoyed the course.